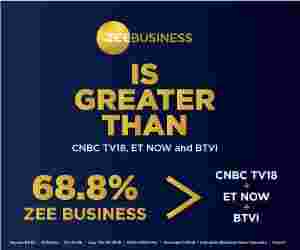 Positive global and FII sentiments, neutral F&O and negative DII cues, the Zee Business managing Editor Anil Singhvi suggests positive short-term trend of Indian markets. In Aaj Ka Hero segment Anil Singhvi suggests investors to buy PNB Futures for target 88.50, 89.75 maintaining stop loss at 86. Amid positive global, foreign institutional investors (FII) and sentiments, neutral futures & options (F&O) and negative domestic institutional investors (DIIs) cue, the short-term trend of the Indian stock markets will be positive on Tuesday, March 19, 2019. Earlier on Monday, March 18, 2019, the domestic stocks logged gains for the sixth straight session amid positive global cues. On the day, the S&P BSE Sensex gained 70.75 points, 0.19%, to close at 38,095.07. The Nifty 50 rose 35.35 points, 0.31%, to 11,462.20 while Nifty Bank gained 214.65 points, 0.73%, before closing at 29,596.10. Small day range on Nifty stands at 11,400-11,525 while the medium resides at 11,340-11,600. Small day range on Bank Nifty stands at 29,500-29,800 while the medium and bigger ranges reside at 29,350-29,900 and 29,100-30,000 respectively. Strong support zone on the two indices, Nifty and Bank Nifty, lies between 11,340-11,400 and 29,350-29,500 respectively. Nifty Intraday stop loss 11,400 and Closing stop loss 11,340. Nifty and Bank Nifty Intraday and Closing all stop losses triggered. Buy Nifty with a stop loss of 11,400 and target 11,500, 11,525, 11,575. Buy Bank Nifty near 29,500 with a stop loss of 29,350 and target 29,600, 29,800, 30,000. The put-call ratio (PCR) stands at 1.67 and the volatility index (VIX) is 16.90. 4 Already in Ban: IDBI, Jet Airways, Adani Enterprises, Reliance Capital. Buy MindTree Cash: Stop loss 955 and target 975. L&T to buy the majority stake in Mindtree. Buy Reliance Infrastructure Futures: Stop loss 133 and target 138, 140. Relief for promoters in Ericsson case. Buy PNB Futures: Stop loss 86 and target 88.50, 89.75. UK court issues arrest warrant against Nirav Modi.